Belgian dancer and choreographer Anne Teresa De Keersmaeker introduced her postmodern dance work “Violin Phase” -- the third of four movements set to the music of Steve Reich -- at the National Museum of Modern and Contemporary Arts on Monday and Tuesday. A square-shaped sheet of white sand was placed in the middle of a white cuboid space while the late afternoon sunlight streamed in. De Keersmaeker entered, stood erect on the side and soon walked into the square. 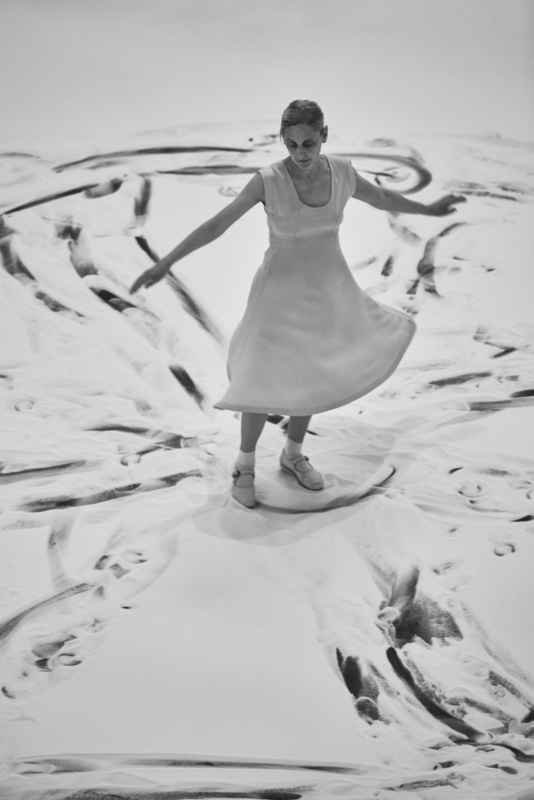 As Reich’s “Violin Phase” began, De Keersmaeker started dancing. Along with the continuous repetition of music cells, the Belgium dancer twisted her upper body in a mechanical manner and wrapped her arms around herself. Moving from one spot to another, her feet made traces on the white sand. These traces were then retraced as she moved back and forth in circular patterns. After some 15 minutes, there was “ecrit,” -- a French word meaning writing -- of her movements. The “Violin Phase” performance the MMCA’s Seoul branch featured choreography that was performed at the Museum of Modern Art and at the Mudam Luxembourg. The version of “Violin Phase” at the MMCA, however, is characterized by its unique use of geometrical patterns, which was inspired by a film that Thierry de Mey made of her “Violin Phase” performance set in a forest. The performance at the MMCA was the third-ever performance of the version. The music of Steve Reich is a crucial part of the performance, according to the Belgian dancer. “Steve Reich’s music was the starting point for me as a choreographer and as a dancer de facto developing my own language and my own grammar,” De Keersmaeker said. “The music of Steve Reich was a sort of invitation to dance. It provided me with an energetic and structural framework, which I thought very useful to go step by step and develop my own language, with rigor and pleasure,” she added. The very minimalistic and structural music of Reich carries “the presence of pulse,” she emphasized. In responses to the music of Reich, she dances, or “writes” her movements. “I am fascinated by what in French they call “ecriture,” the very act of writing the movements. I was, since the beginning, inspired by the observation of nature to organize movements in time and space. It also has been extremely inspiring, working with energy, the energy of the people and the energy as a general concept,” said De Keersmaeker during a press conference held ahead of her performance Monday. The language rendered to the audience is, however, somewhat different to what we would call text. It is difficult to pin down or define what her movements -- or “act of writing movements” as she called it -- lead to. The reason is perhaps because they constantly change. The dancer’s movements, which look similar, gradually change throughout the performance, together with the music. It is almost impossible to point out a single movement and call it the essence; her movements come out as if to resist being reduced to a single meaning or a narrative. “Through repetition of the same cells and gradual shifts in time and in space, the spectators are invited to look at gradual changes. 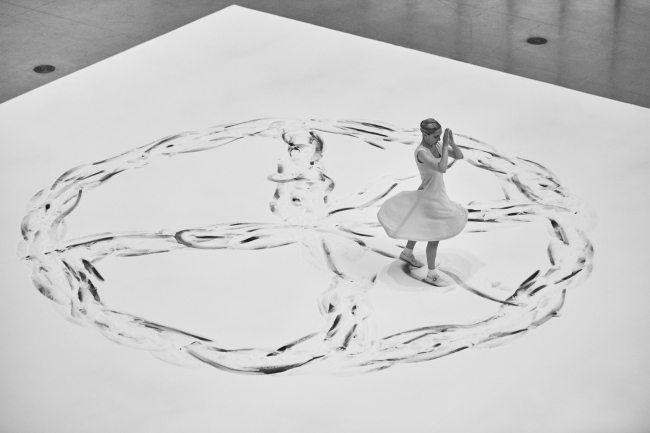 So your eyes are invited to look at the differences and the same,” De Keersmaeker said. 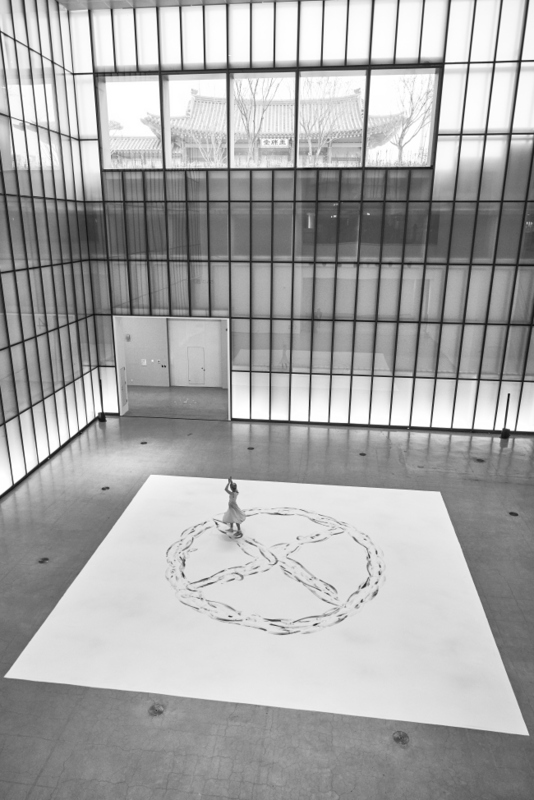 De Keersmaeker wrapped up her tour in Korea after a total of six “Violin Phase” performances at the MMCA’s Seoul branch.